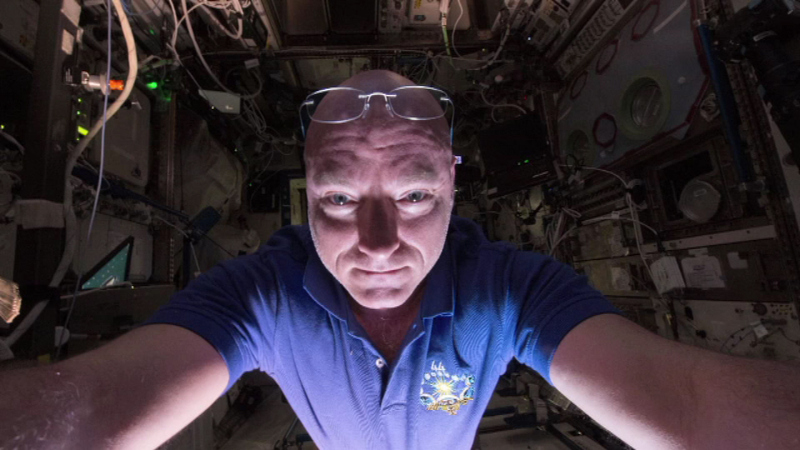 Astronaut Scott Kelly posted selfies of himself from the International Space Station to Twitter. CHICAGO (WLS) -- Astronaut Scott Kelly is taking some sky-high selfies, 220 miles above Earth on the International Space Station. Light reflected from the Earth illuminates the photos he posted on Twitter. Kelly is on a one-year mission to study the impact of weightlessness on the human body. NASA will use the data to get ready for a potential Mars mission.